Vijay is finally ready for a little sweet revenge. Since childhood Vijay has put his family and duty ahead of his own hopes and dreams. Situations change when his wife’s dominant and wealthy elder sister who is hell bent on insulting his family members shatters his dreams. Why be good? It’s time for Vijay to reinvent himself and take a sweet revenge. His father stands firmly between him and his real goal. Will his father who has taught him the good values for life and importance of relationships allow him to do so? Will Vijay’s own love for his wife, let him to do it? Destiny plays its role when he happens to meet his relative who went missing years ago. Welcome to RELATIONS. A compelling story of relations peppered with ambition and frustration, with the ultimate victory of good over evil. Jasbir Singh Sabarwal lives in Pune, Maharashtra. While working with a leading company in Pune, he also pursues his passion attending a film script writing workshop in Mumbai. 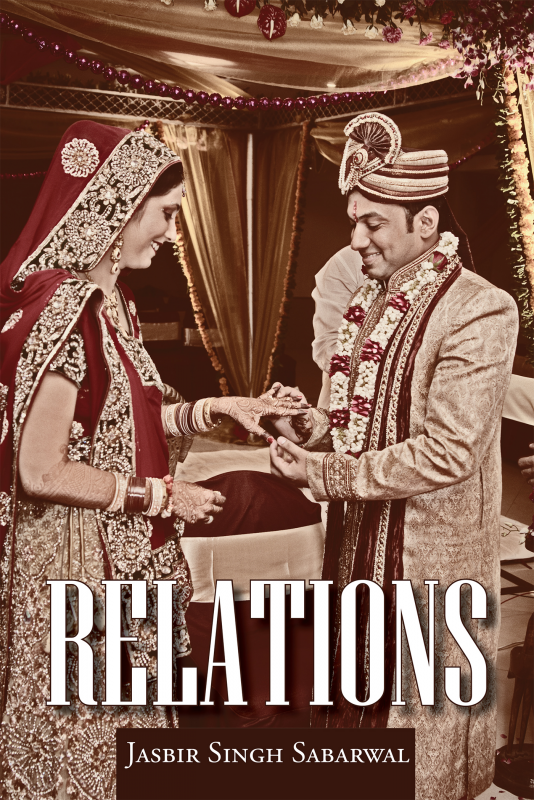 His short story POWER OF FAITH has been published and he is all set with his first novel RELATIONS.